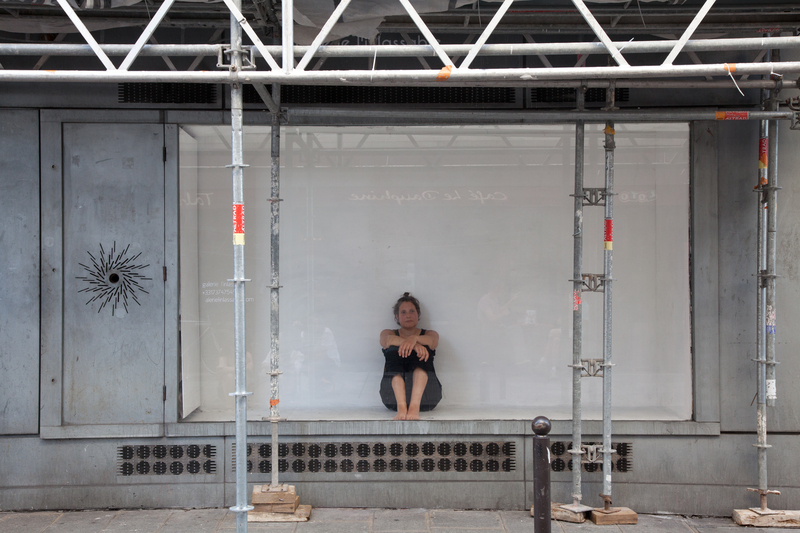 The Artist Simone Etter was in a showcase of an art gallery on a famous (gallery) street in Paris for 15 hours doing nothing. Nothing else as to be. Nothings else as the act of human being, encounters with the people passing be.